From remote-monitoring systems to on-site robots, new technologies are benefiting care home residents, staff and operators alike. The speed of change and the future potential for tech to make an even greater difference are generating opportunities for investors and startups alike. Technology is transforming care for older people. A 2016 report on care homes in the UK found that the daily physiological monitoring of residents, assisted by telehealth, resulted in an overall efficiency gain of more than +£33,400 a year for the nursing home studied. This level of financial benefit gives care home managers the ability to invest elsewhere, to redirect staff time, or to reduce charges to residents. In short, simple preventative tech can deliver real value. Many of the new ‘technology-enabled care services’, or TECS, can be used in private home or care home settings. They include telehealth (remote monitoring and management of physiological conditions), telecare (remote monitoring of alarms and alerts), telemedicine (remote diagnosis, analysis and treatment of medical conditions), and telecoaching and self-care. The market is growing rapidly and it’s not hard to see why. Studies have found that TECS resulted in dramatic reductions in health events that absorb costly staff time: a 58 percent cut in GP visits, a 70 percent drop in emergency admissions, and a 30 percent reduction in hospital length of stay. TECS are focused primarily on health benefits, and the staffing and cost efficiencies that flow from improving residents’ health and wellbeing in a care home setting, but effective technology can transform what’s possible in any living space. Voice-based systems can give residents greater independence, for example. Meanwhile, tunable light can correct disruption to circadian rhythms and aid dementia care: a small-scale trial in a care home in Sacramento, California, resulted in a 41 percent reduction in agitated behaviour, and in the winter of 2017–18, researchers at the University of Bergen in Norway launched a study on the effects of bright light therapy on around 100 dementia patients at eight nursing homes. The key to unlocking the benefits of technology is the creation of care homes that are technology-ready, a concept embedded in the 10 key principles for design of housing for old people developed by the Housing Our Ageing Population: Panel for Innovation (HAPPI) group in the UK. Building tech-ready housing will deliver higher quality of life, and thus will attract residents. It will give care home operators a strong assist in their efforts to retain staff in a competitive market, and it will help health and social care systems cope with the financial and resource pressures they face. In Japan, robots too are beginning to play a part in caring for the country’s growing elderly population. At first sight they sound like little more than toys for older people: among the early recruits are Paro, a furry seal ‘therapy robot’ that reacts to touch, speech and light; Pepper, a humanoid that participates in games, exercise routines and rudimentary conversations; and Tree, a crawling-and-speaking robotic aid for walking. But these forerunners of a robot workforce serve a very real need: Japan’s workforce is shrinking as its retired population booms. By 2025, the country will face a shortfall of 38,000 specialist care workers. So the more that Paro, Pepper and Tree can do, the better. And in an early-adopter nation like Japan, robots will find work. 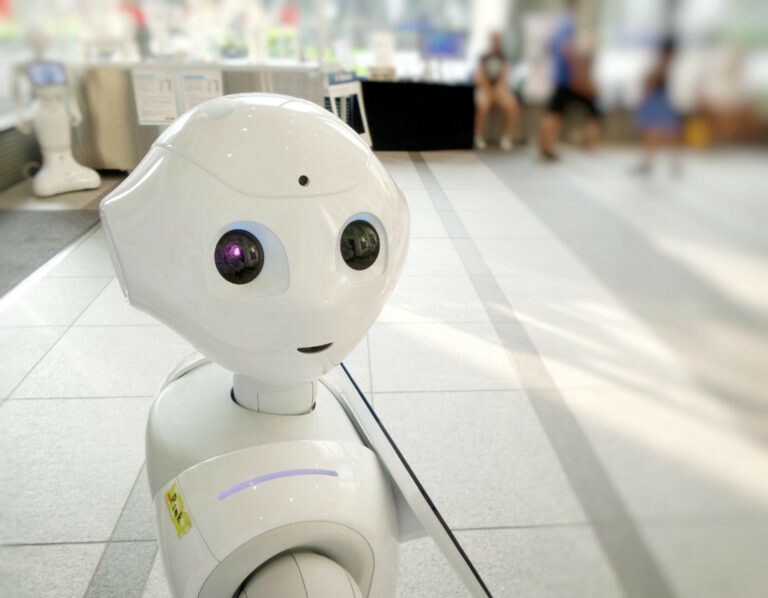 In 2016 the global market for nursing care and disabled aid robots was just US$19.2 million, but Japan’s Ministry of Economy, Trade and Industry estimates that by 2035, when a third of Japan’s population will be 65 or older, the domestic industry alone will be worth US$3.8 billion. The lesson here is not only that technology is advancing fast and is an essential component of housing for older people, but also that a broad range of technologies are having an increasing impact on various aspects of care home life. Health-oriented systems are delivering cost and time-saving benefits, voice-activation can help residents achieve greater independence, therapeutic technologies such as tunable light are helping to reduce the incidence of agitated behaviour — and, in Japan at least, robots are beginning to work hard in care home settings. So the benefits to both residents and operators of care homes are clear, as are the reasons that governments and specialist agencies are promoting the uptake of technology in the sector. The challenge for real estate investors is to identify the technology that will be cost-effective in a given project, and for proptech startups, it is to understand how their work can deliver value for care home operators, residents and staff. Download our latest white paper, Real Estate and the Ageing Population, for more insights and analysis. Dominic is co-founder and managing partner at Pi Labs. He leads the firm with a specific focus on investments and investors. He also sits on the boards of Brolly, FalconDHQ and Office App. Dominic has a wide background in Private Equity Real Estate worked with both AEW Europe and Savills Investment Management and transacted over €3bn of deals across Europe. Dominic has a degree in Law with French from the University of Birmingham and an MBA from the London Business School. Pi Labs is Europe’s first VC firm to focus exclusively on proptech investments. It has established itself as a pre-eminent global leader in the early stage domain in this vertical. To date, it has made 34 investments including Brolly, Land Insight and Plentific. Pi Labs is global in its focus — it has backed founders from 18 different nationalities and its portfolio companies have raised in excess of £85m. Pi Labs has become the centre of the property innovation ecosystem with a deep track record in real estate, technology and investment.